Life is hard to plan for. Seasons change, things happen, and time wears on. But when a major life event occurs, you need to make sure you’re able to see the big picture. This is why we’re creating a series of posts on the tips and tricks to help manage major life events. These events range from something as simple as spring cleaning (and how it can affect your entire life) to as complicated as divorce or separation. And, of course, we’ll help you determine what to do with those old print photos at every step of the way. There is a ton of moving pieces to manage when planning a wedding. Trying to nail down the guest list, photographer, location, and attire can easily consume all the love birds’ time. But one of the most important parts of any ceremony is the pictures. And not just photos of the big day itself—but the old print photos of the happy couple and their families. If you’re lucky, you’ll only need to move a few times throughout your life. We say lucky because packing up all your stuff and precious possessions, and shipping them off to the next destination can be a total pain. During the moving process, items are at risk of getting lost, damaged, or even stolen, so you’ll want to go into any move with a solid plan. March 31 is a day to remind all to backup and preserve your computers and all digital files. It’s much like when we set the clocks ahead, and the smart reminder to replace your smoke detector’s batteries. It should be instinctive to back everything up each day, and certainly, once a year. Details on #WorldBackupDay. This past Weather Channel news story is an emotional reminder why it’s an imperative to backup everything, including your analog photo snapshots. To commemorate the vital message from #WorldBackupDay (r), ScanMyphotos.com — the powerhouse professional source to digitize your pictures — is announcing a special flash sale for you. Join us in celebrating WorldBackupDay. Through April 1, 2017, instantly save 25%* on your next order for prepaid fill-the-box PHOTO and 35mm SLIDE scanning, plus most add-ons, and even with our “Spring Sale” photo package. Only applies to prepaid photo, 35mm slide scanning boxes, and our already discounted “Spring Cleaning” photo scanning package. Online orders only. Not valid towards negative scanning, film, VHS digitization, or other services. 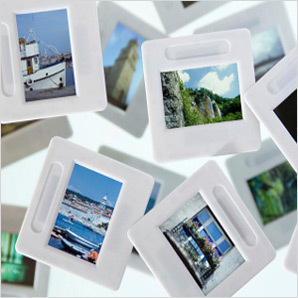 Discount DOES apply to photo and 35mm slide prepaid box scanning services, including most of our popular add-on featured services. Excluding eGift certificates, prior orders, sales tax. Not prorated. Cannot be applied to prior orders. Sorry. Certain restrictions may apply, if the discount wasn’t applied to certain items, it means those aren’t included. Not valid toward VIP Photo Pack, Family Generation Collection, Pay-Per-Scan Photo Service, and anything not mentioned above. Is Snap (Snapchat) Poised to Disappear? On March 2, Snap Inc., the parent company of the widely popular Snapchat app, closed their first day of public trading up 44%. Since then, however, things have gone downhill. After its first full week on the stock market, SNAP stock was down 18.5%. This week is also seeing a downward trend, now nearing $19 a share..
Not only is the company off to a rocky start in the stock market, but it’s posted year-over-year losses for 2015 and 2016—and it’s forecasted to do the same at the end of this year as well. So, is the company with an estimated $25 billion valuation destined to go the way of Napster, Atari and Compaq? 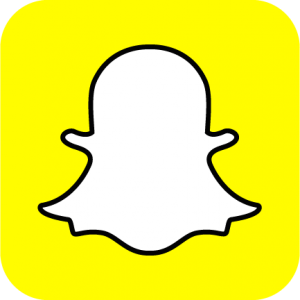 While it’s too early to tell if Snapchat will pull a complete disappearing act, the company certainly has some choppy waters ahead. Why a Photo & 35mm Slide Scanning Flash Sale Was Announced? FLASH SALE: We’re celebrating the latest national TV news profile on ScanMyPhotos by sharing this special 25%* discount with our blog readers. GOOD UNTIL SUNDAY, MARCH 26, 2017. 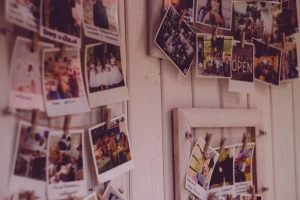 You’ve seen so many media profiles on ScanMyPhotos — from The New York Times, The Wall Street Journal, AARP…, as we help digitize the world’s photos. Excerpt: SAN FRANCISCO (KRON) — Most of us have gone completely digital with our pictures, storing them now on our computer or in the cloud. 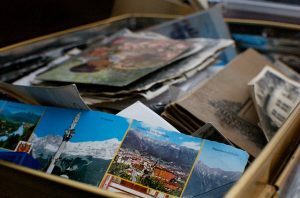 So, what do you do with all those old printed photos piled in boxes or living in analog photo albums? KRON4’s Tech Reporter Gabe Slate shows you online services that let you quickly get those old pics turned digital in an easy and affordable way without leaving your home. Join us in celebrating this TV new profile. Through Sunday (3/26), instantly save 25%* on your next order for prepaid fill-the-box PHOTO and 35mm SLIDE scanning, plus most add-ons, and even with our “Spring Sale” photo package. Only applies to the prepaid photo scanning boxes. The 35mm slide scanning boxes, and our already discounted “Spring Cleaning” photo scanning package. Not valid for VIP Photo Pack, Family Generation Collection, Pay-Per-Scan Photo Service, and anything not mentioned above.